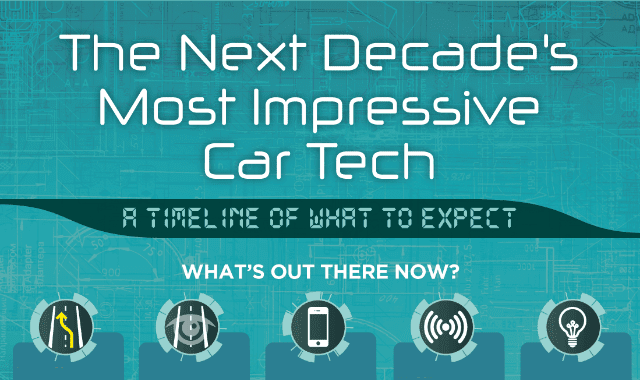 The Next Decade's Most Impressive Car Tech #Infographic ~ Visualistan '+g+"
One thing is clear when you look at auto manufacturers’ plans for future cars: 2020 is going to have a very different feel. Even now, the industry is scrambling to get electric and autonomous cars on the road, trying to stay current with the latest self-driving technology and keep up with newcomers like Tesla while still complying with the U.S. government’s demands to reduce carbon footprints and make greener vehicles. This boom in automobile innovation is likely to outpace everything we’ve seen in the past 50 years. In this green and self-driving car timeline, we explore what the cars of the future will look like. And for once, the future is much closer than you think. Here’s what’s coming in the next few years: Let’s hope for a greener and safer world in 2025!